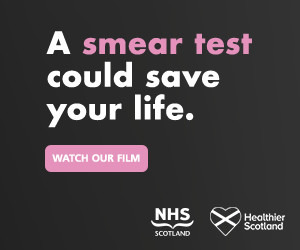 Click on the link to watch the latest Scottish Government Cervical Screening Campaign film. You can read more about Cervical Screening on the NHS Inform website. For more information on why it is a good idea to take part in cervical screening, please have a look at the getcheckedearly.org website. Please get in touch with the practice to book your smear test with one of our practice nurses.